OTHER IMPORTANT MEETINGS & EVENTS! The TMDL (Total Maximum Daily Load) Implementation Team meets the third Thursday of the month throughout the year. This groups discusses new and ongoing strategies and projects aimed at reducing the amount of phosphorus and sedimentation into the tributaries and water of Lake Carmi. Anyone is welcome to attend. From March - October we meet 4:45-6:45 PM in the Franklin Homestead FELCO Room. The FWC Board meets the third Thursday of each month from 7:00-8:30 PM in the Franklin Homestead FELCO Room. Everyone interested in the FWC activities are welcome to join us. For more information or questions about either meeting, please contact the FWC Coordinator. We began our annual regime of taking water samples from Lake Carmi and 10 of its tributaries in early April to capture the spring runoff. We have several decades of sample data that help us track the changes of phosphorus, sediment and other discharge materials in the lake. 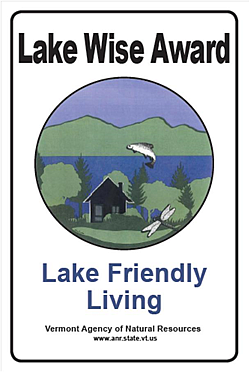 This information is essential in crafting strategies and activities to improve the water quality of Lake Carmi. For more information about the water sampling program, contact Peter Benevento. Beginning Memorial Day Weekend, FWC member, John McHugh, will be stationed during the weekends and holidays at the North Beach Boat Launch on Rt. 120. He will provide lake users with information about aquatic invasive species (Eurasian Millfoil and Curly Leaf Pond Weed), why it threatens our lake and how to prevent its spread. For more information about the boat greeter program, contact Peter Benevento. Suggestions for Events, Programs or Activites for FWC? Let us know! Contact us by email or contact form.